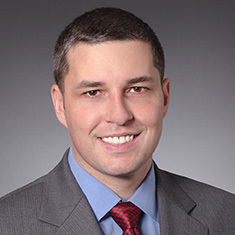 David Schalk is a registered patent agent in Katten’s New York office. David primarily practices in the electrical and mechanical arts, with a focus on user interfaces, telecommunications, video game consoles and medical devices. He also has broad experience in obtaining design patents. David also conducts patentability, validity and freedom-to operate searches and assists in the preparation of non-infringement opinions. In addition, he counsels clients on different foreign and domestic filing strategies and developing patent portfolios.